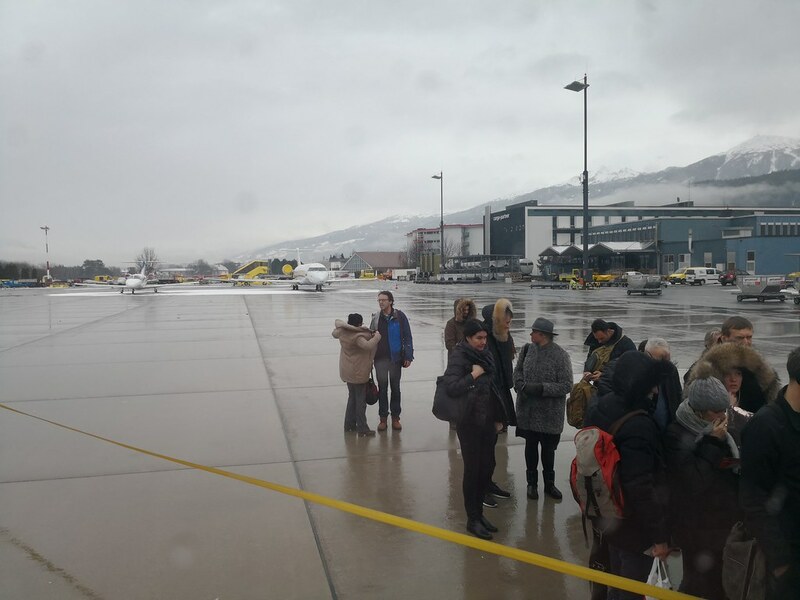 Once boarding was called, passengers took the bus even when the plane was just directly in front of the gate. And the bus took the long route going around the back of the airplane. 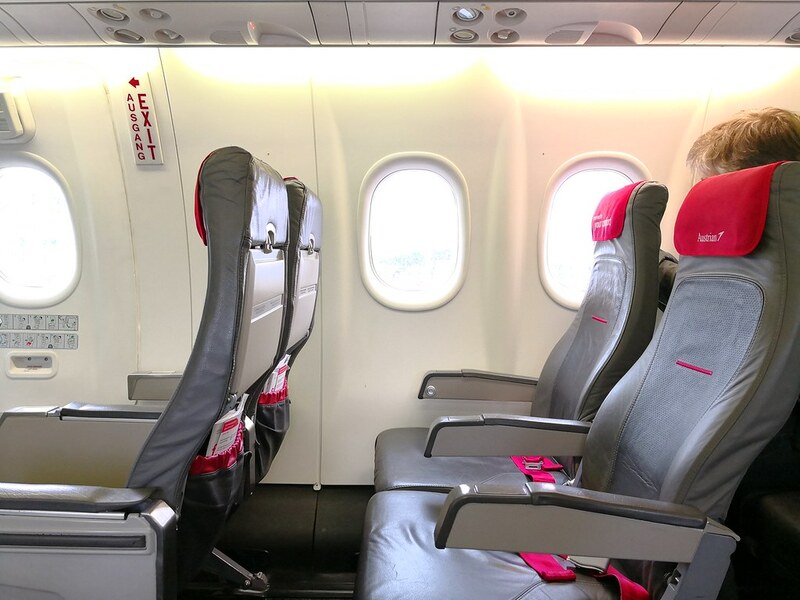 It just seems like a roundabout way of doing things rather than allowing passengers to walk up to board the plane. Though it worked in my favour as I got some good shots of the plane. For some reason the bus just stopped beside the plane momentarily as the driver seeked confirmation for boarding. There was probably a minute or 2 of pause as passengers waited in the bus. 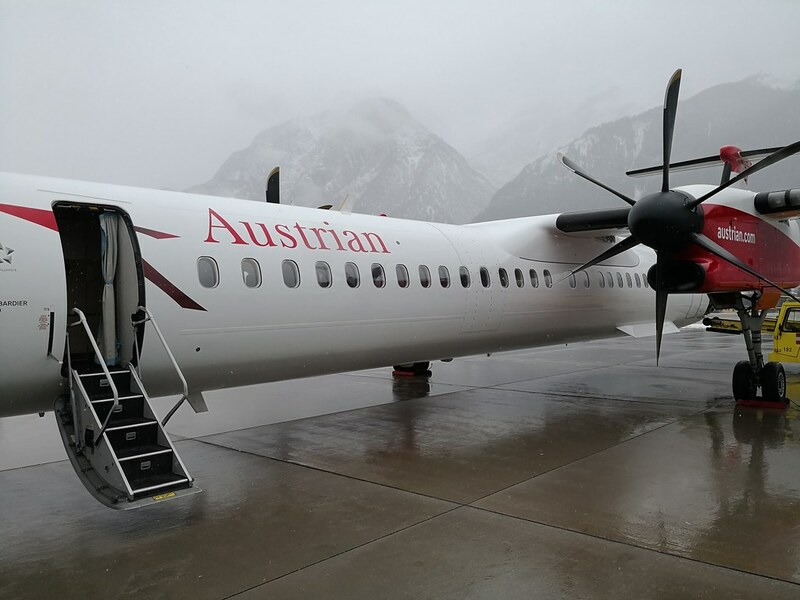 Passengers still had to queue out under the gloomy winter weather, though it was nice being one of the first to board as I took the front stairs and settled down in my seat in the cabin. A couple seems to be upgraded for this flight and it seems the lady knew the crew as she hugged the lead cabin crew and they talked for a bit. 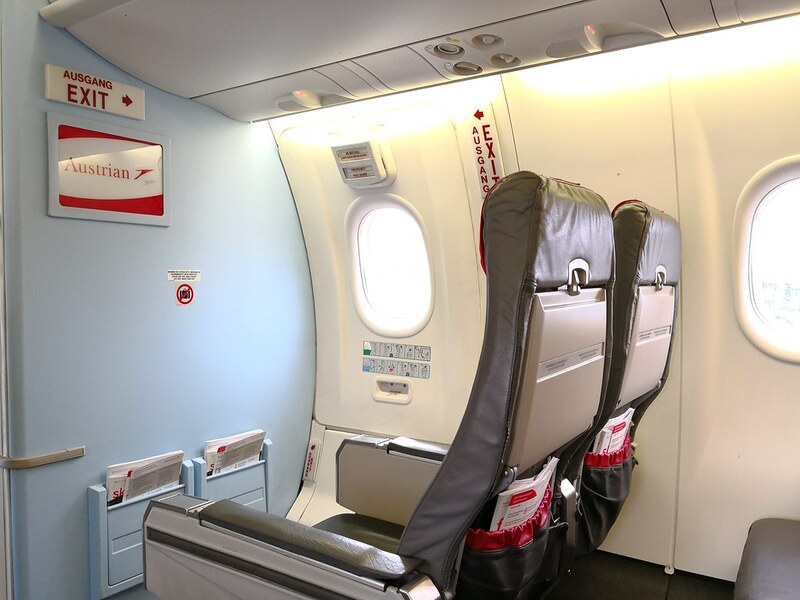 Onboard, these regional jets does look beaten up and for Business Class, the seats are all the same with the exception of the seat next to you being closed off. Cabin Crew serving the front cabin was Katharina Jones as she introduced herself to me. No service whatsoever was during boarding, neither was there any bottled water for guests in Business Class. 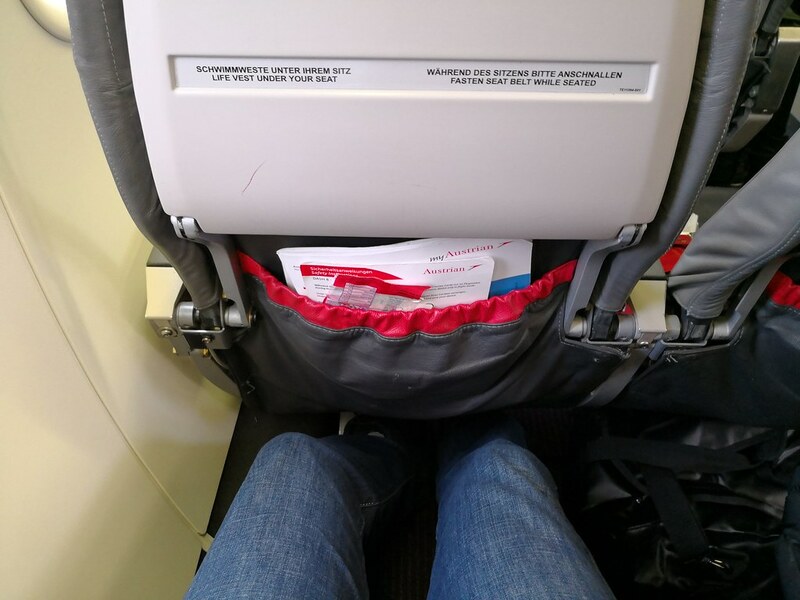 For those seeking extra legroom, the front row seats does seem to be more spacious with the emergency exit row on the bulkhead seats and on the back of the plane. This means it can be preferable if one is booked in Business Class. 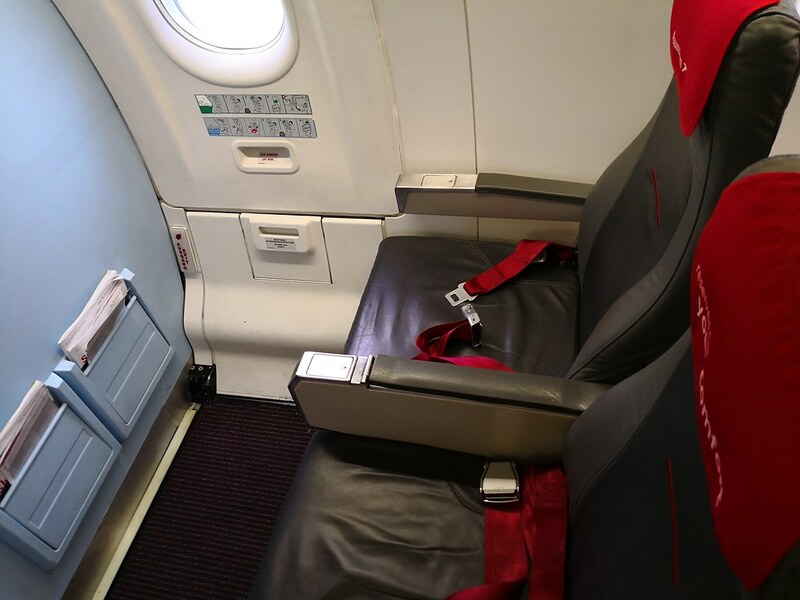 On this flight the bulkhead seats on the D & F was empty while the upgraded couple sat on 1 A & C.
A quick boarding with what seems to be a less than full flight meant we were pulling back of the parking bay and heading straight to the runway. 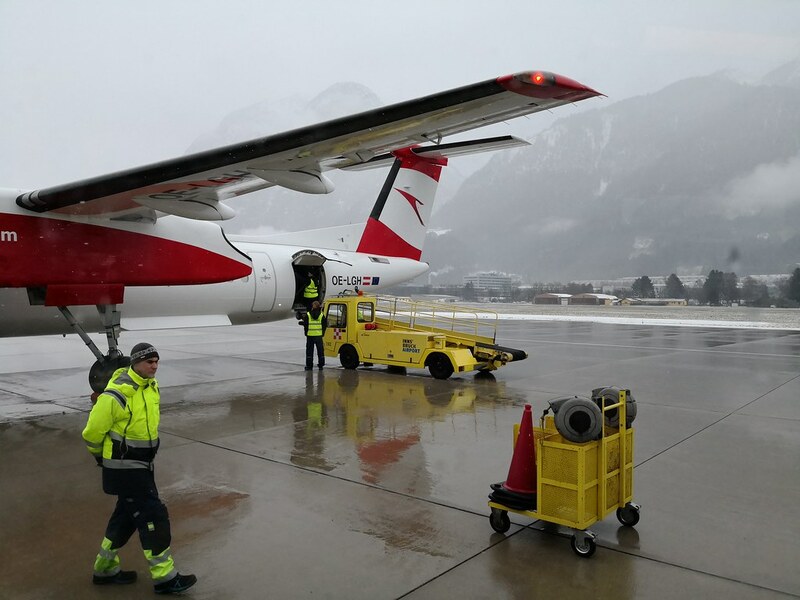 No long waits does make it nice to depart from a small airport! 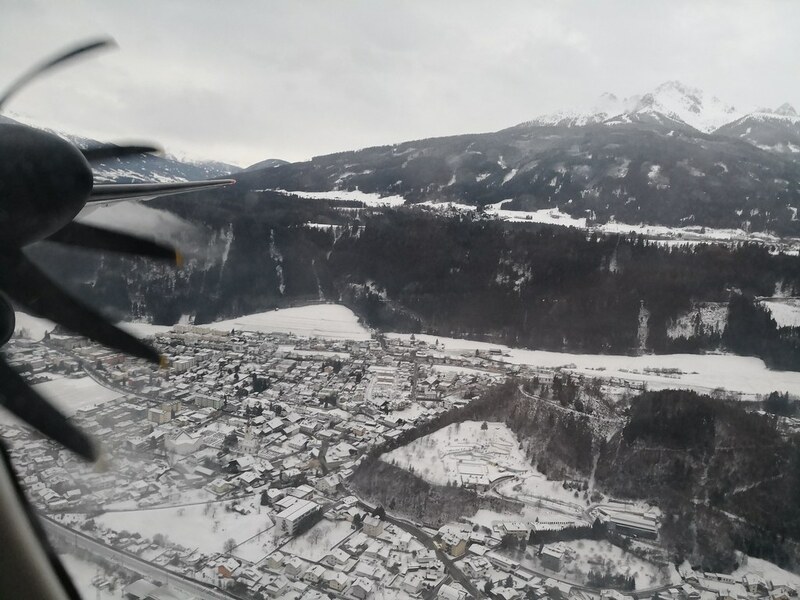 The gloomy weather that day, however, did not make for great take-off shots as we gained altitude with mountains on both sides. 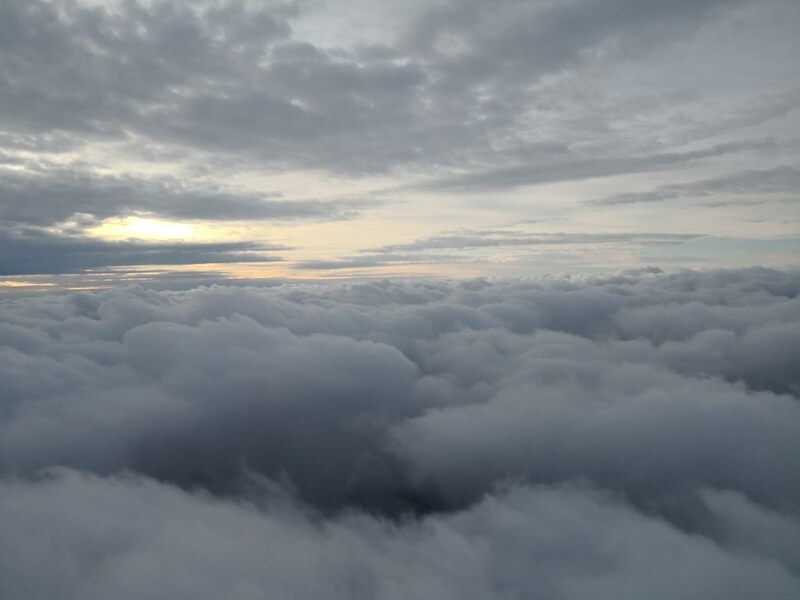 Perhaps it was the weather but there was slight turbulence after take off. 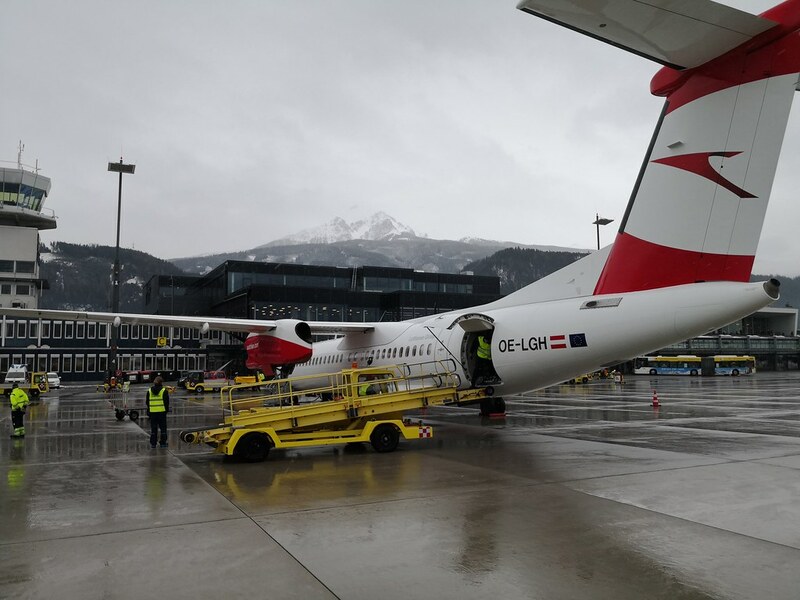 Had the weather been nicer, perhaps there would be a smoother take off and maybe nicer photos of the scenery around Innsbruck. 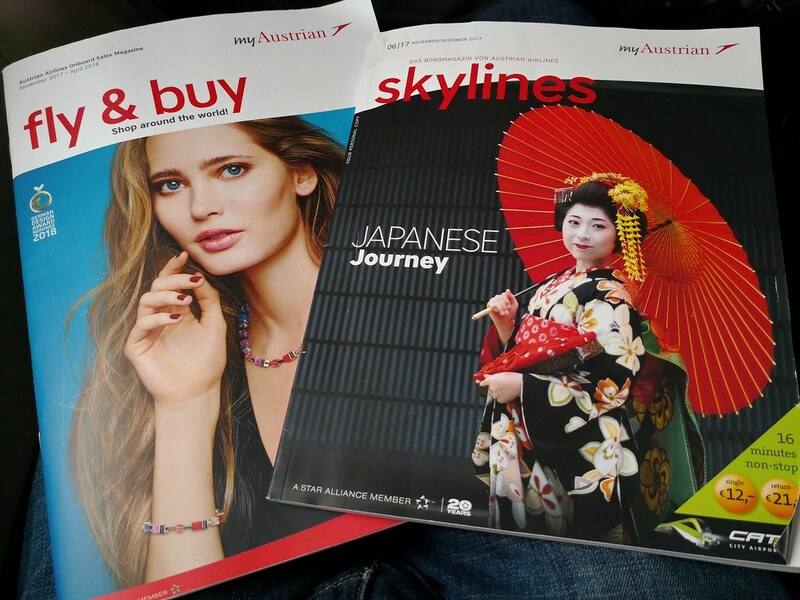 Since it was my first ever flight with Austrian Airlines, I took the time to browse through the inflight magazines. 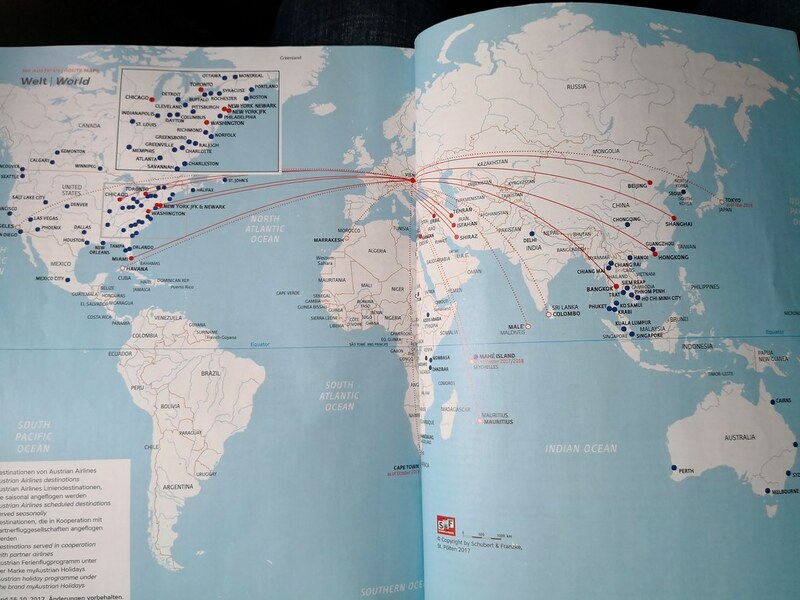 For a medium sized airline, they do have a respectable international route network and a decent inflight magazine. 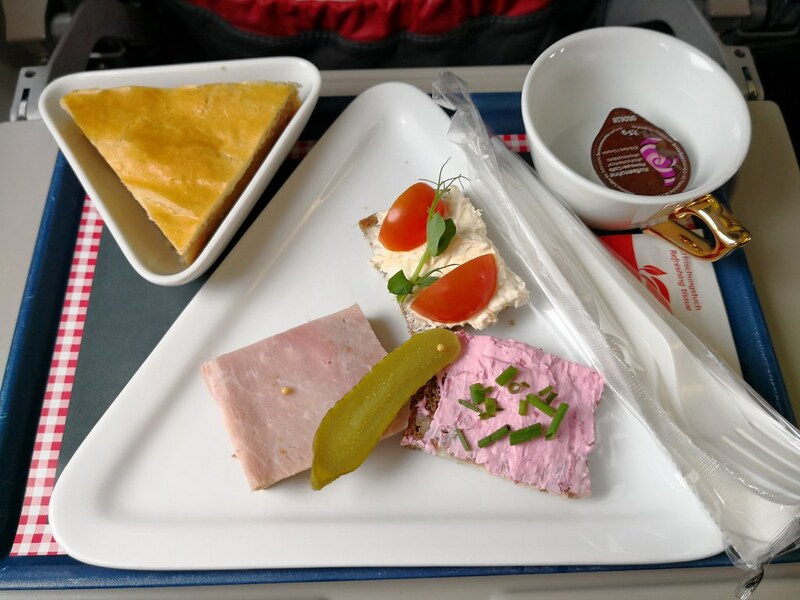 Snack service comprises of three pieces of rye bread; topped with ham, cheese tomatoes and pink-coloured cream cheese. As I was hungry I finished them but it was nothing special. Included in the tray was dessert, which was an apple pie. 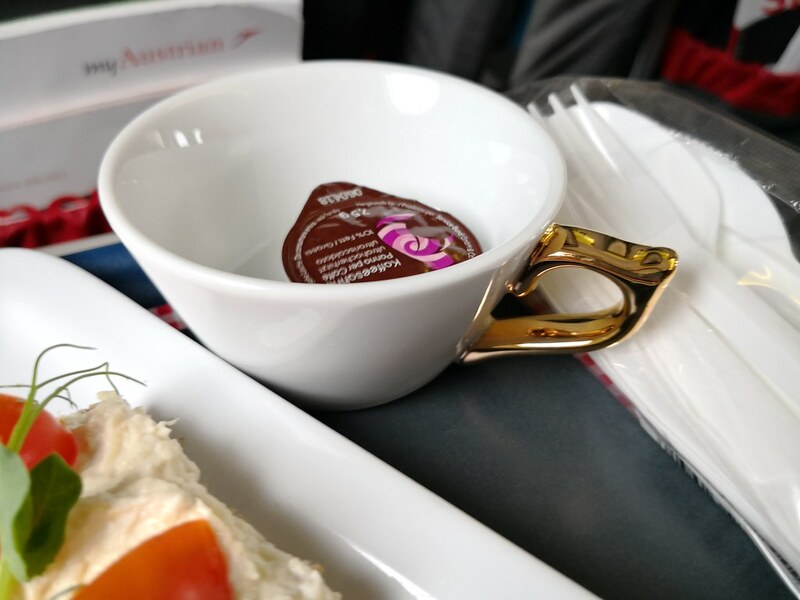 I found the presentation of the meal to be very nice, with the triangular plate and bowls, and especially liked the coffee cups with their golden handles. 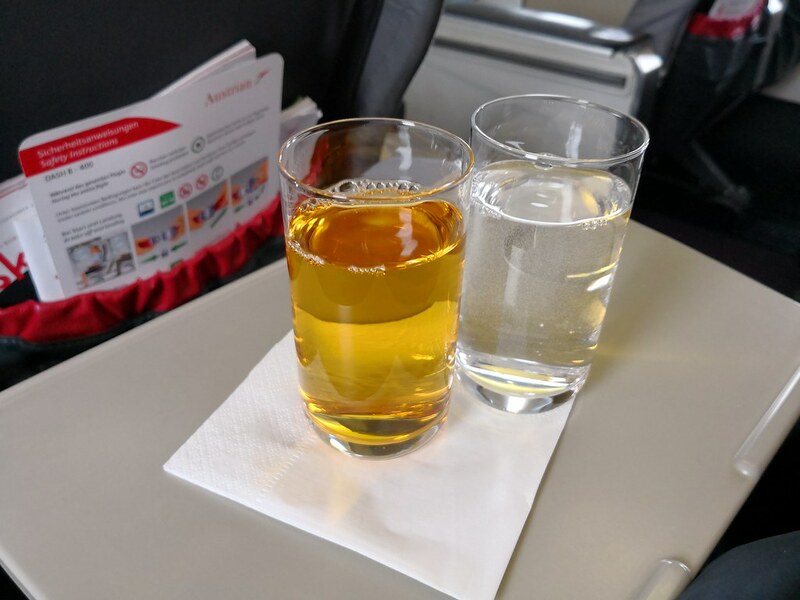 For drinks, I had a glass of apple juice and mineral water. Seeing I finished the meal, the crew asked if I wanted anything else. I asked for snacks and more water. 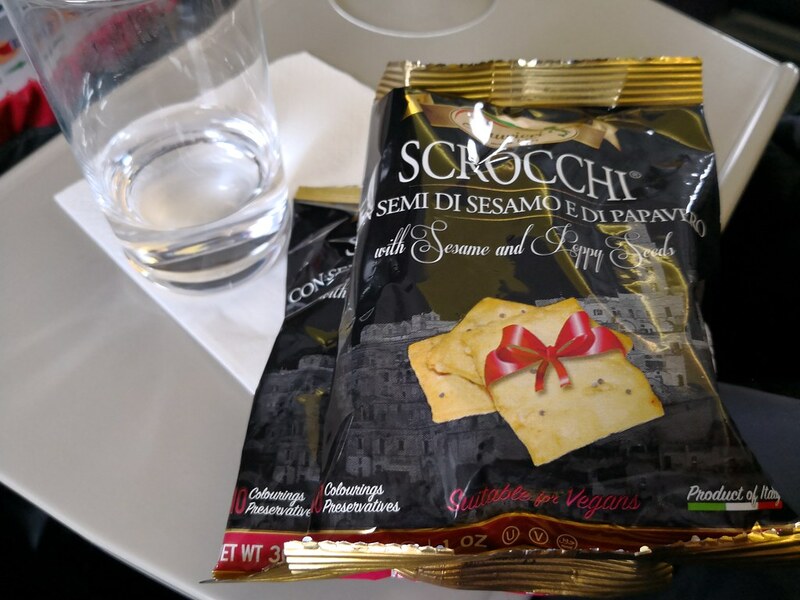 Snack was a packet of Italian crackers with sesame and poppy seeds. The rest of the flight, the lead crew just chatted with the couple seated in seat 1A and 1C. Meanwhile, I just played some games on my mobile phone and read the magazines that I downloaded from Lufthansa’s mobile app. 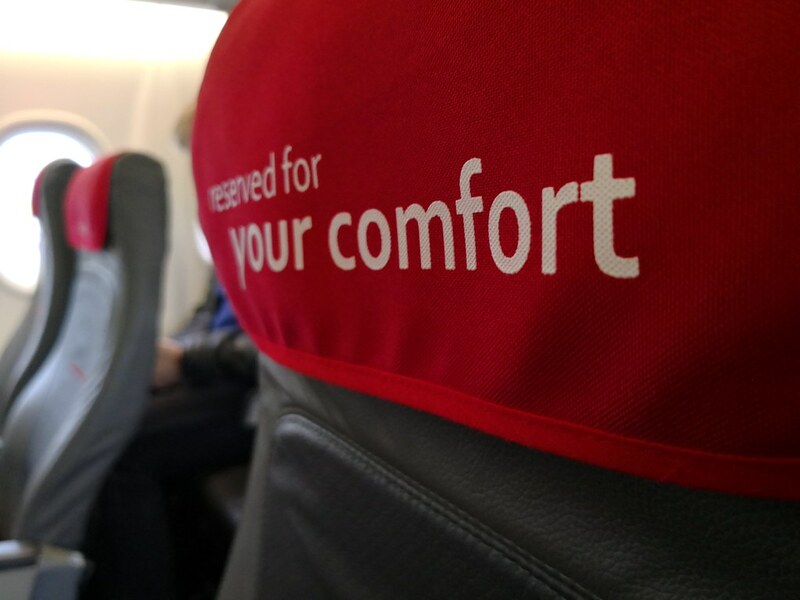 It is nice to have the e-downloads after checking in through the app and that helped pass the time when there is no inflight entertainment onboard. 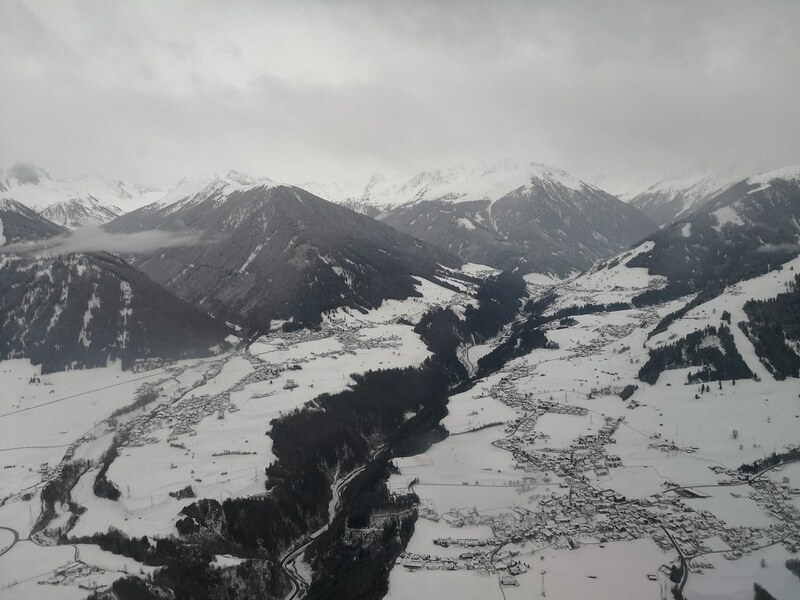 A short while later, the captain announced our descent into Frankfurt as the skies seems to clear out. 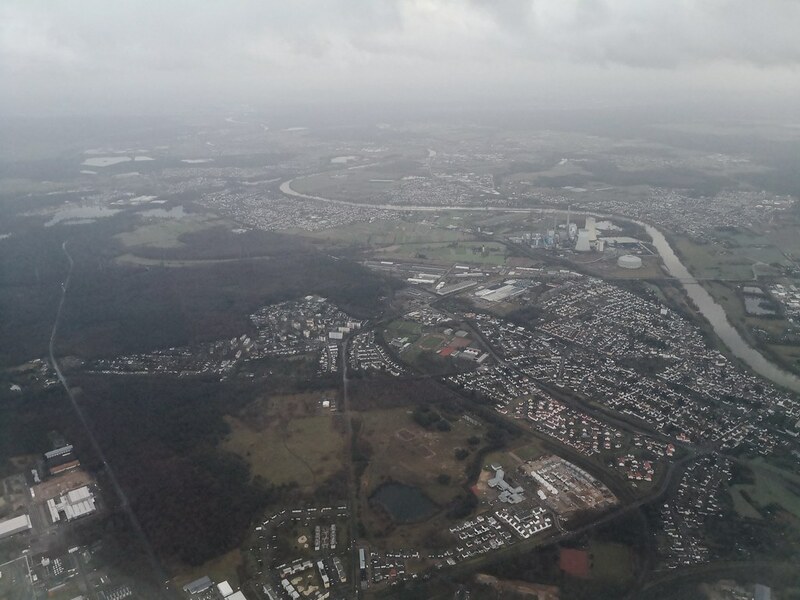 The weather was still somewhat gloomy but it was easy to spot the forests around the airport. 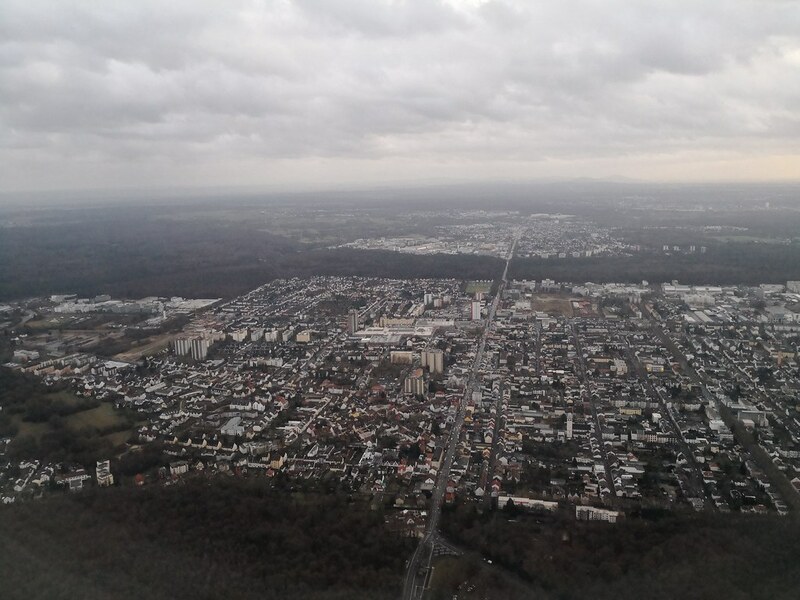 Our approach into Frankfurt brought us over the town of Hanau, bypassing the south of Offenbach and past the suburb of Neu-Isenburg before landing at runway 25C. 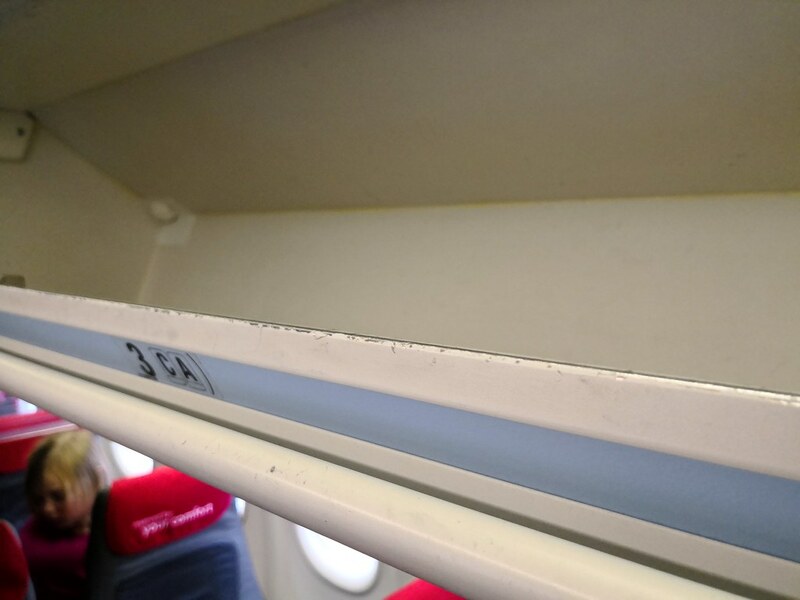 Eventually the plane parked at a remote stand and while collecting my duffel bag from the overhead luggage compartment, I have to remind passengers boarding this small flight that the normal handheld trolley luggage is unlikely to fit into this space. Hence the number of checked luggage during check in. Upon disembarking, there was several passengers that went to the back of the luggage hold to retrieve their gate-checked luggage. 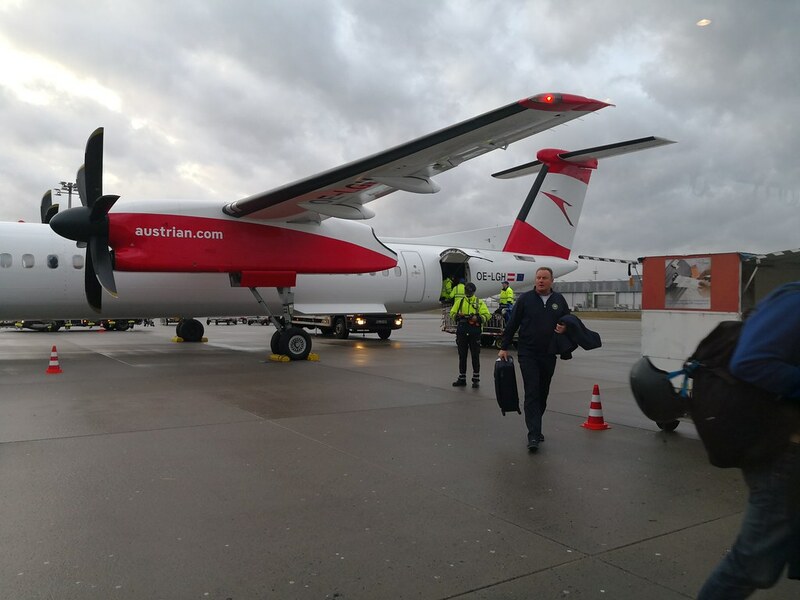 Thus if you have any fragile and important items that needs absolute care, I would not recommend taking flights on the Bombardier Dash 8. 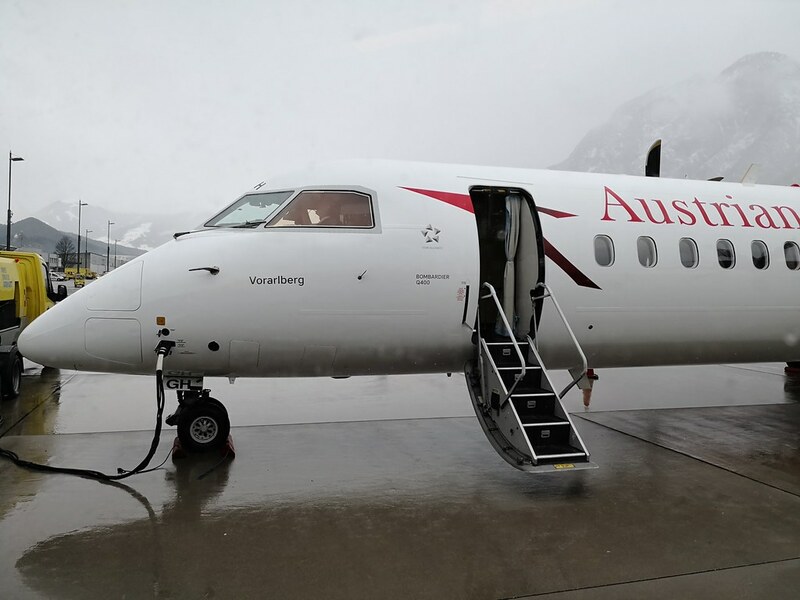 In this instance, one’s best alternative is perhaps the high speed train in Europe since from smaller cities in the Alps, regional jets like these are more commonly utilized. 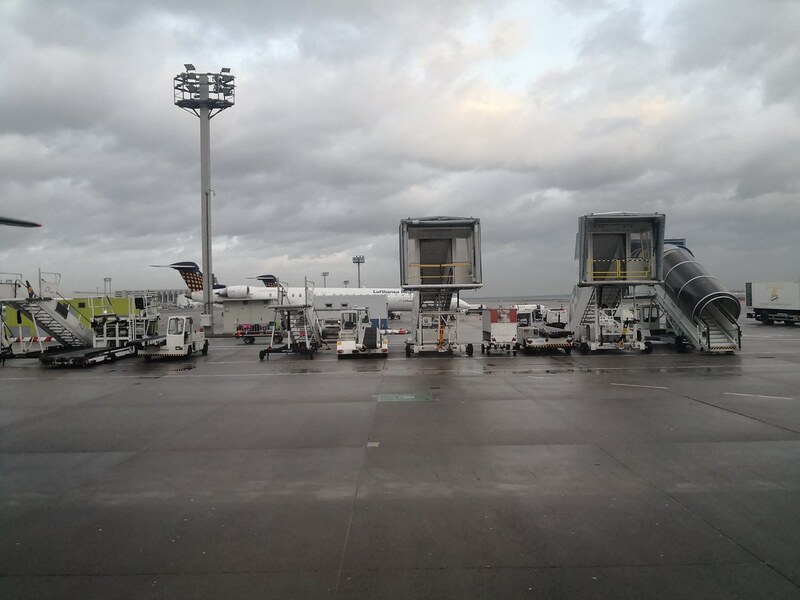 As we were parked at the far end of the airport, it was the bus ride that gave us a tour of Frankfurt Airport en-route to our drop off point, where I head to the lounge for my next flight. 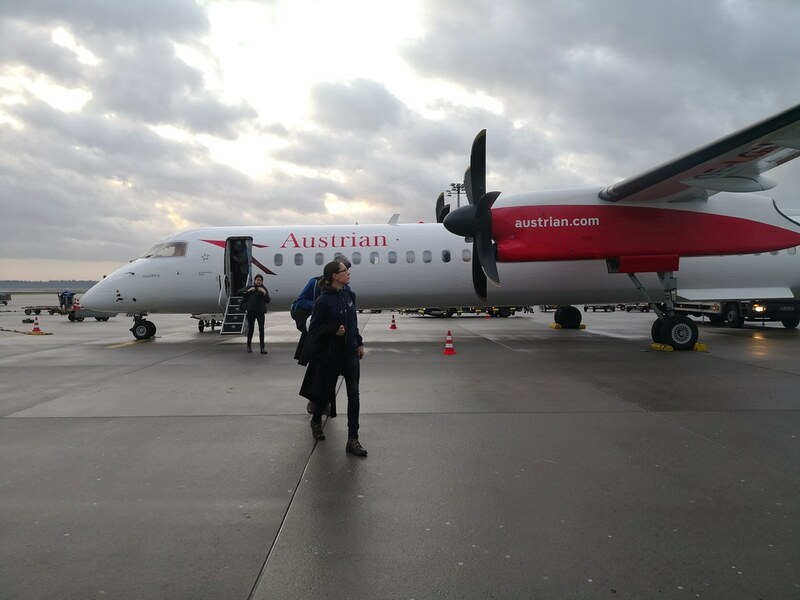 This was an easy one-hour long flight and I had no problem being seated on a small plane. 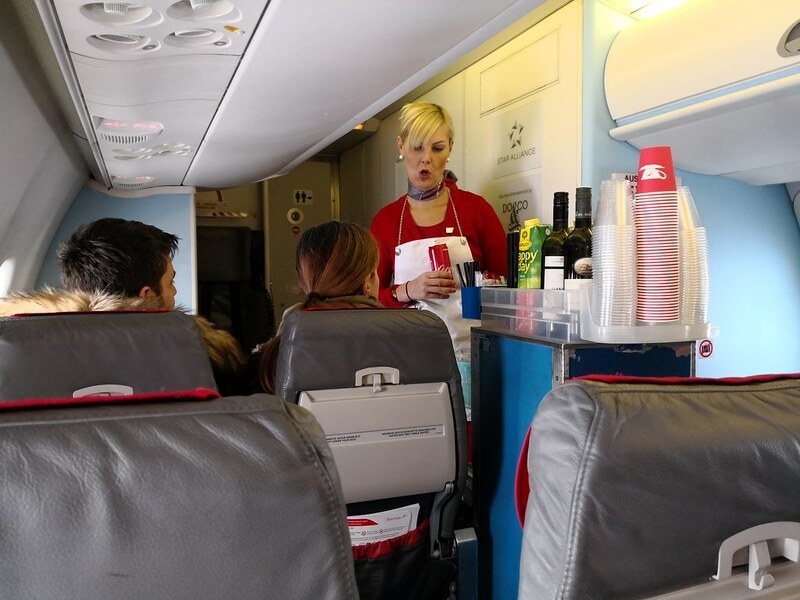 The limited service in this flight was not a bother, though it did no help in assuring me of flying with them on longer routes. 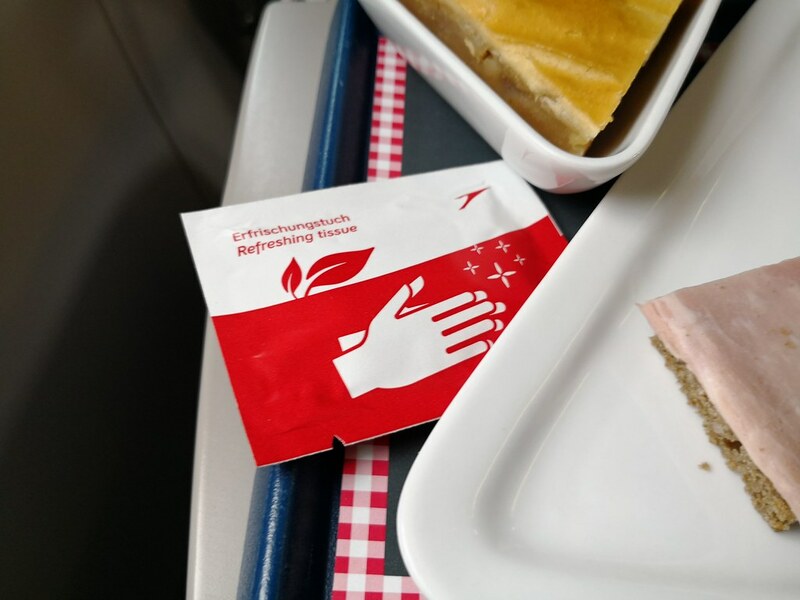 While they may be part of the Lufthansa Group, I cannot help but think they might just be the weakest link between Lufthansa, Swiss and themselves.